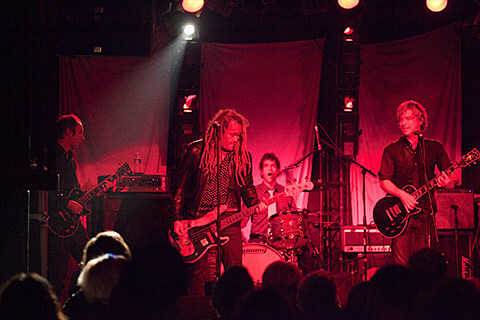 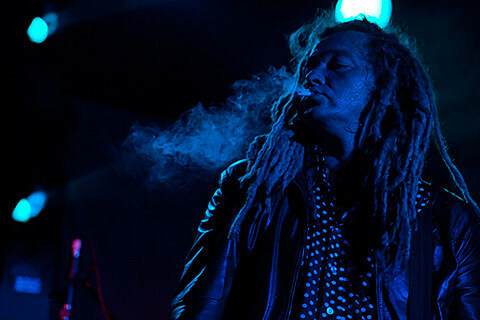 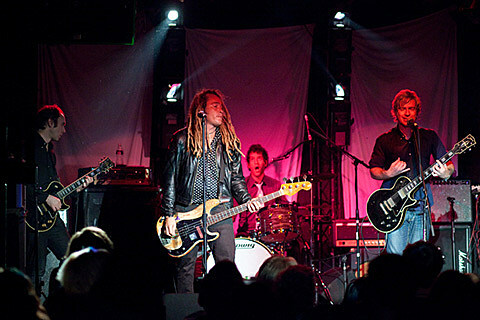 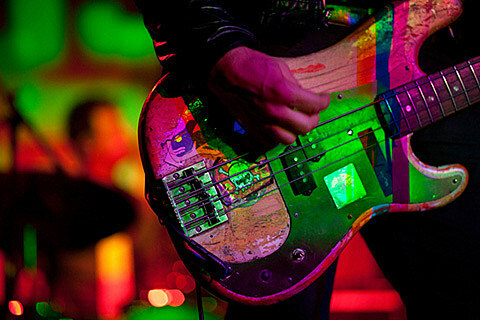 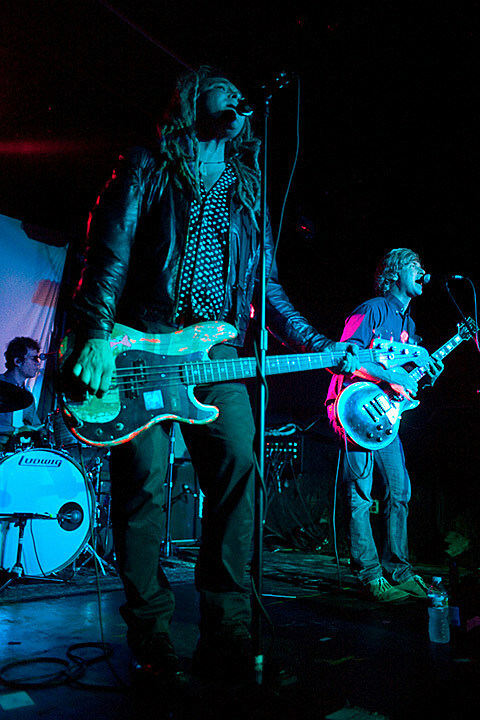 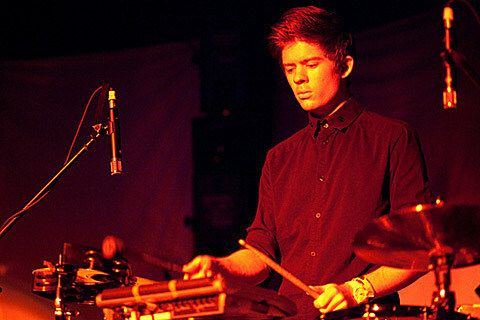 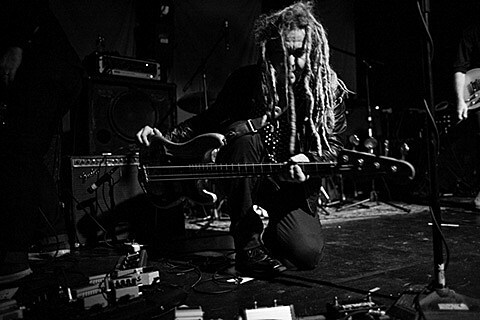 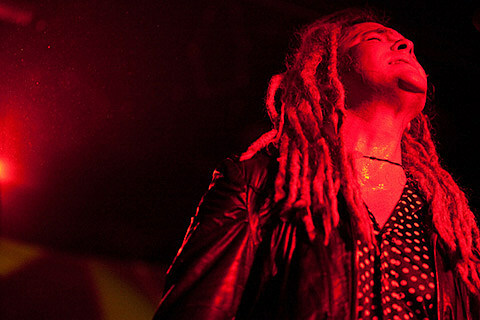 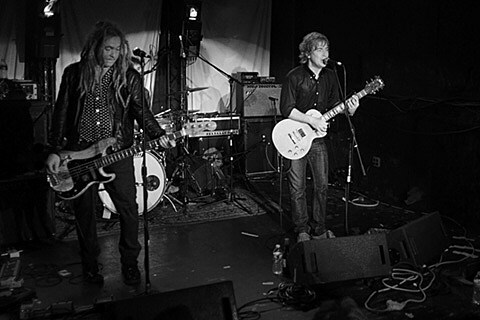 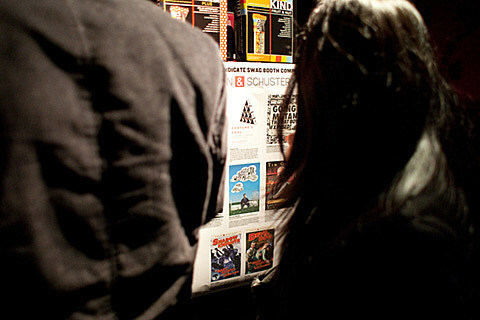 Nada Surf headlined The Syndicate’s 12th Annual Pre-CMJ “Conflict of Interest” Party at Rebel NYC on Monday night (10/18). 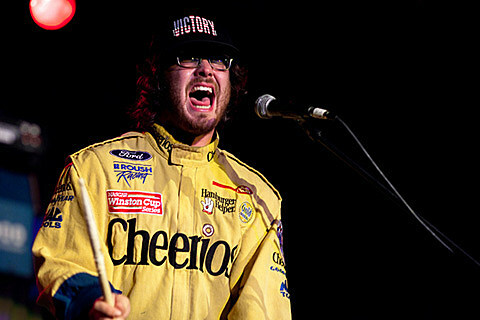 The free show, hosted by Allison Hagendorf also featured performances from Kitten, Oh Land, Bo Burnham, Dale Earnhardt Jr. Jr., Reggie Watts.. 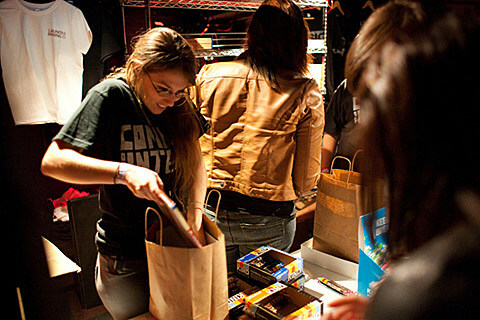 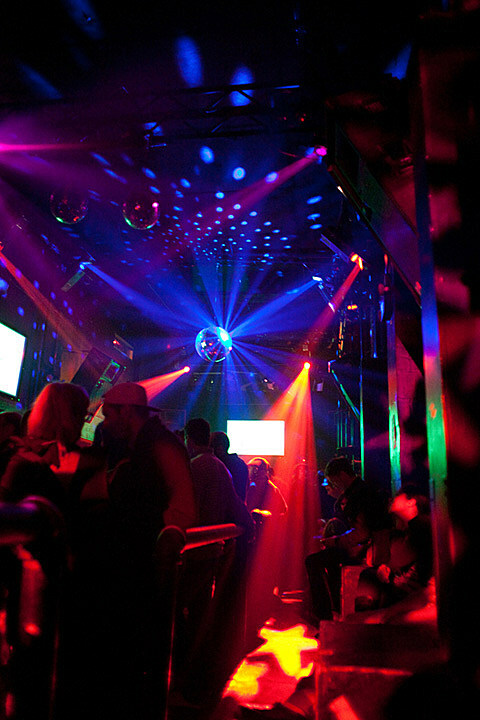 The club filled to capacity early in the evening as concert-goers took full advantage of drink specials, numerous giveaways and bags of free swag. 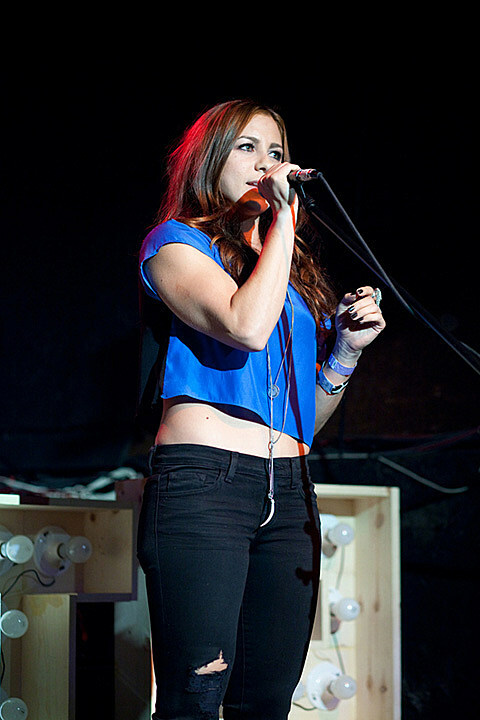 Los Angeles band, Kitten kicked things off with a loud, noisy set that showcased lead singer Chloe Chaidez, who at just 16 years old, has a commanding stage presence. 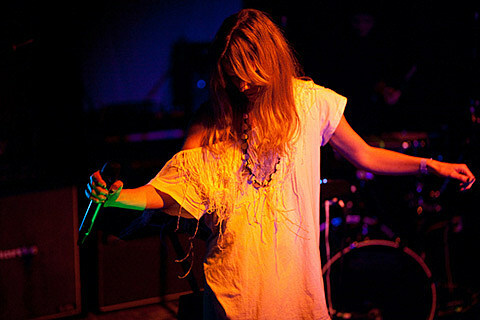 Oh Land aka Nanna Fabricius, the Brooklyn by way of Denmark electronic artist gave the second performance of the night. 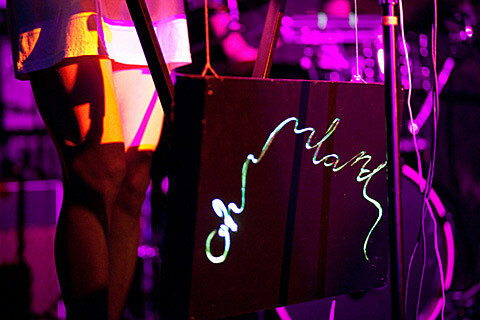 Nanna sang and played a six padded drum machine that was hooked up to a band of LED lights and topped off with balloons that had videos projected on them. 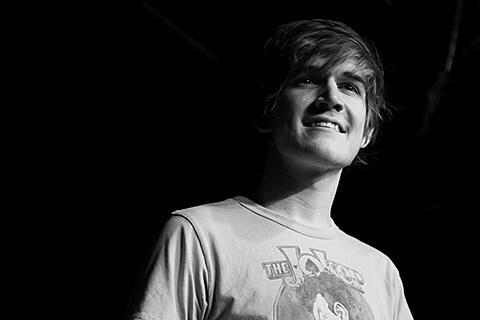 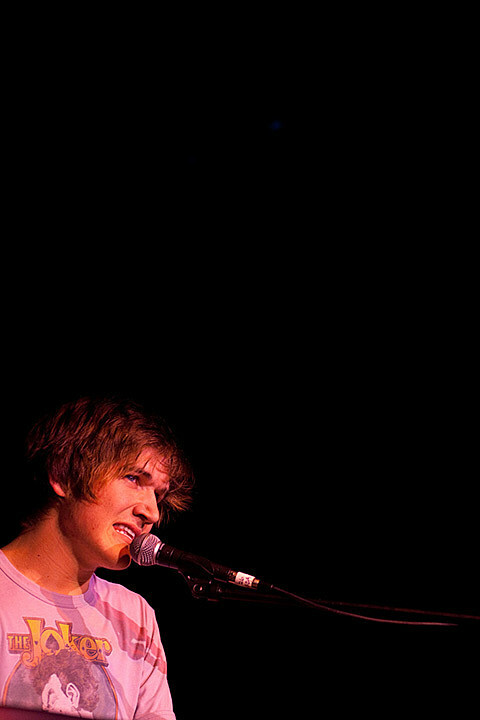 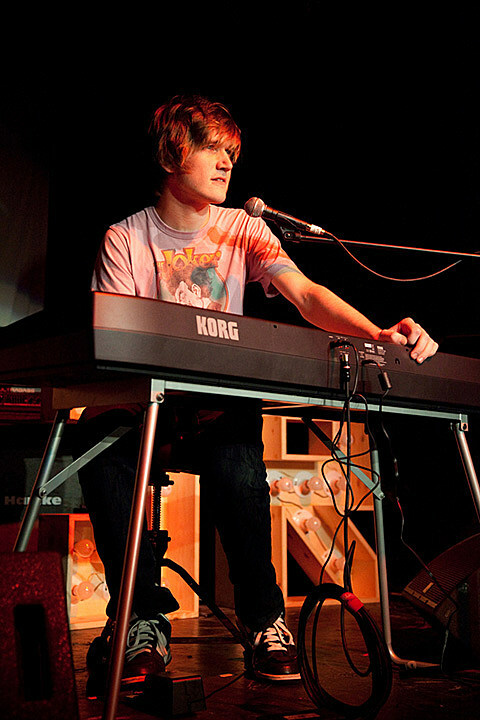 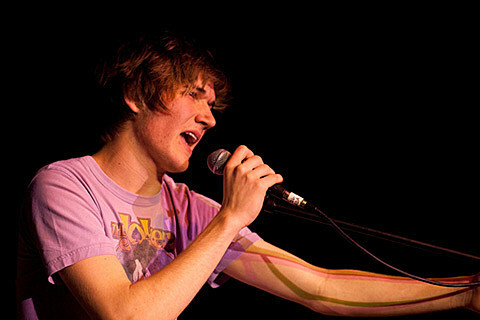 Bo Burnham, the 20 year old Youtube sensation who’s first Comedy Central special aired last weekend “Words Words Words”, greeted the audience with bags of candy and a 20 minute set of songs, poems and prerecorded bits. 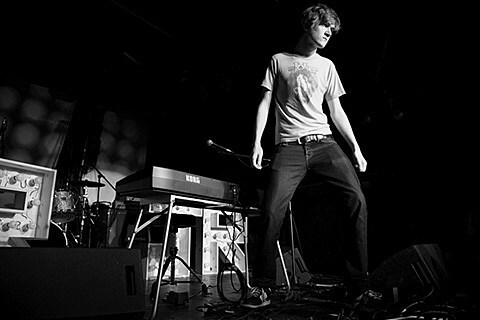 Burnham who calls himself “the best rapper in the world” has a cd/dvd of his special hit stores on the 19th of this month. 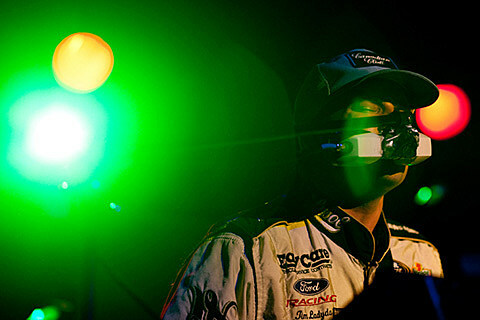 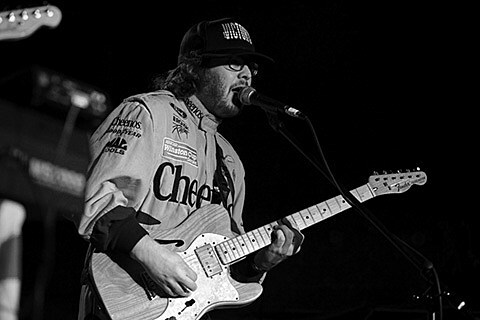 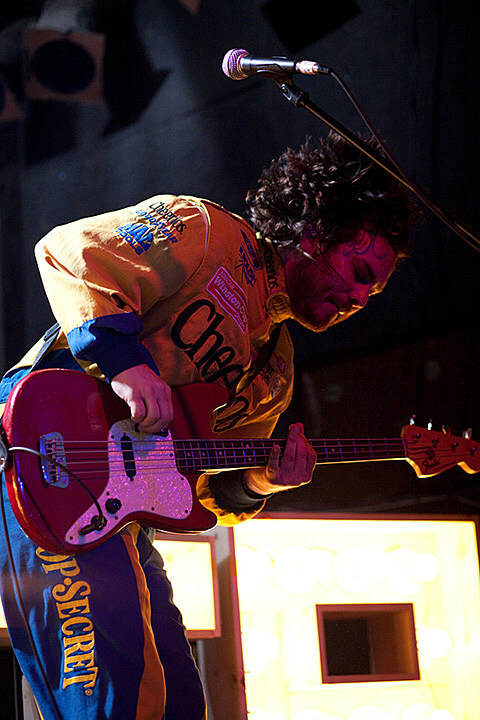 White-hot band of the moment, Dale Earnhardt Jr. Jr. (playing the first of 7 shows this week) took to the stage in their standard NASCAR Racing Suits and large JR JR light up letters behind them on stage. 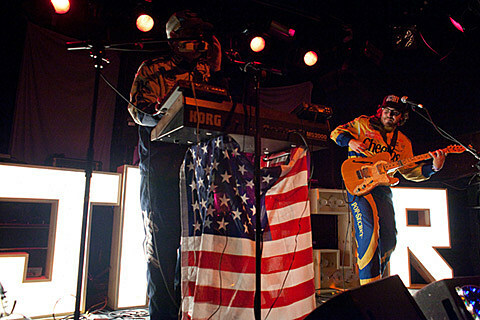 The Detroit based duo performed songs from their Horse Power EP as well as a pair of covers, Gil Scott Heron’s “We Almost Lost Detroit” and The Beach Boy’s “God Always Knows.” Their brief set was a highlight of the evening. 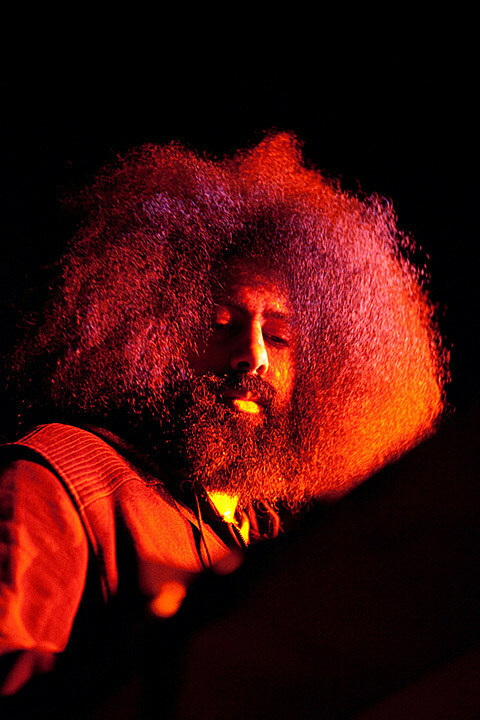 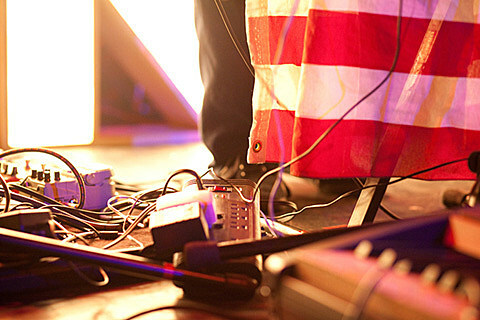 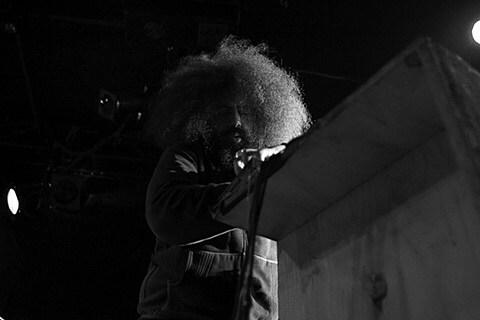 Reggie Watts followed with his trademark looping, improvised, rapping, singing set to a welcoming crowd that included members of Nada Surf who were enjoying his performance from the soundboard area. 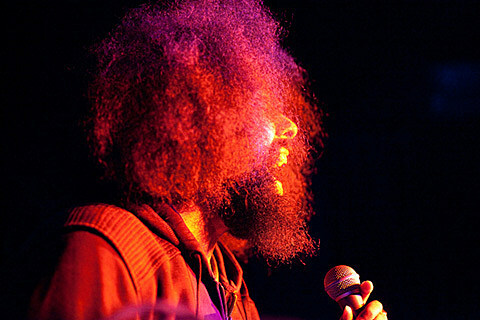 Reggie managed to name check Oh Land and also made a point of mentioning the passing of Minneapolis rapper Micheal Larsen, aka Eyedea. 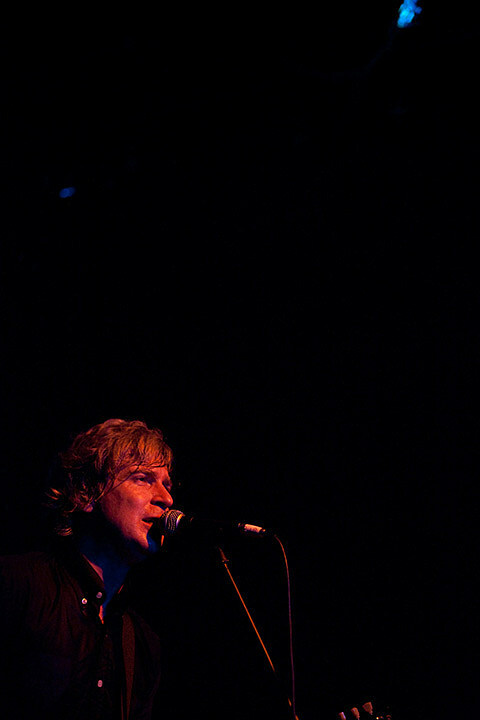 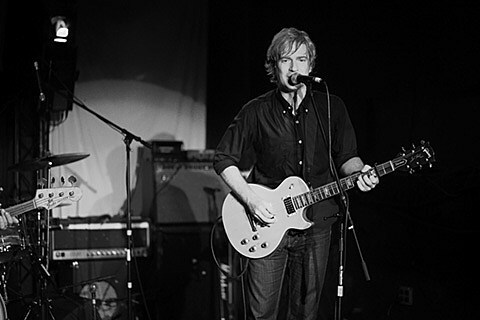 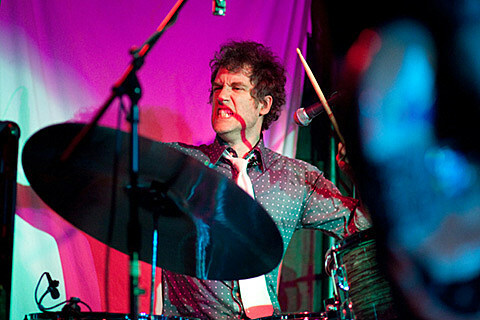 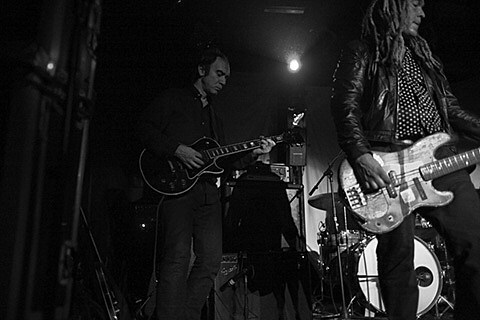 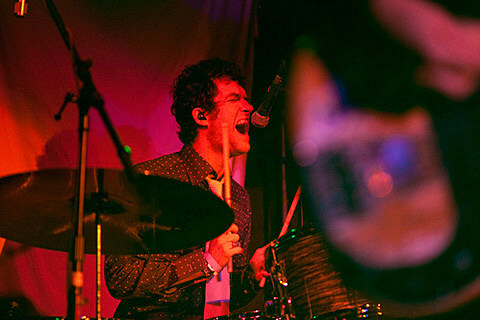 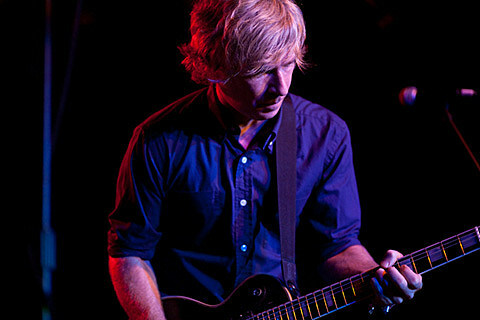 Headliners Nada Surf took to the stage just after midnight and lead singer Matthew Caws laughed that he and bassist Daniel Lorca held their first practice as a band in a rehearsal space upstairs at the club. 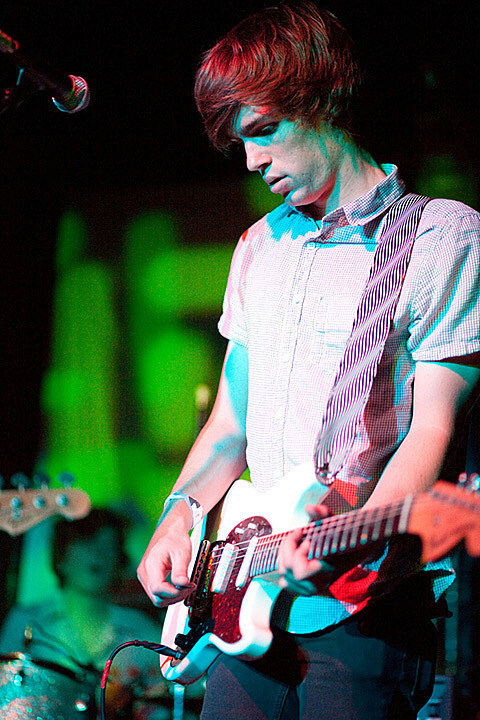 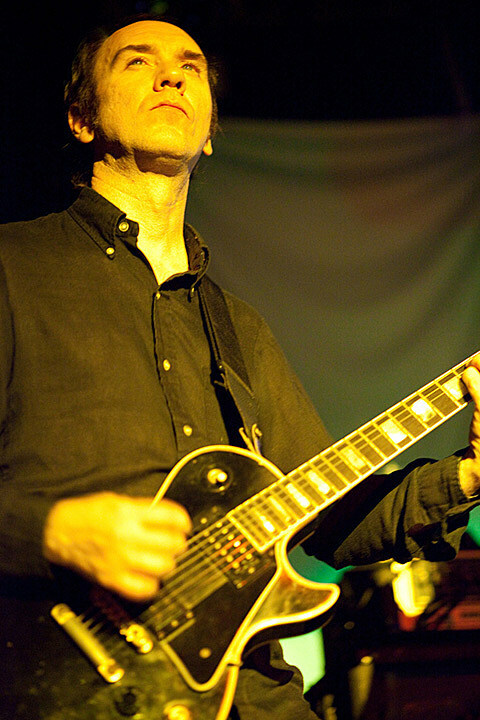 The band was joined by Guided By Voices guitarist, Doug Gillard who played with the band for their entire 15 song, close-to-90 minute set. 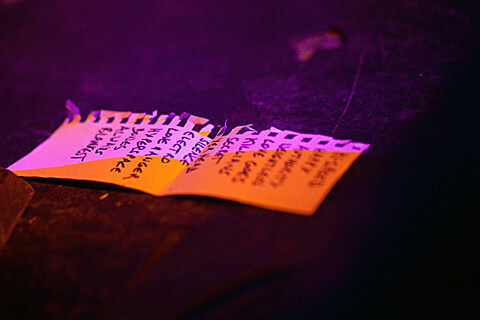 More pictures from Rebel NYC, and the Nada Surf setlist from last night, are below.